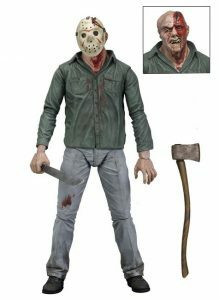 Friday the 13th Series 1 Action Figures Shipping Now! 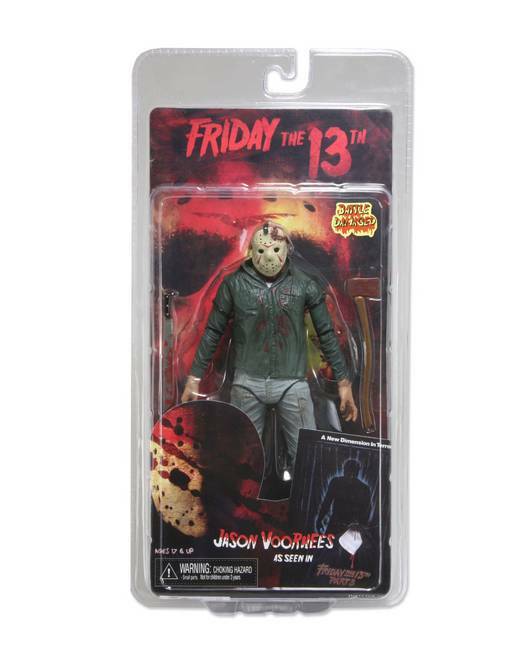 You are here: NECAOnline.com » Licenses » Movies » Friday The 13th » Friday the 13th Series 1 Action Figures Shipping Now! Next up in our seemingly endless line of awesomeness? 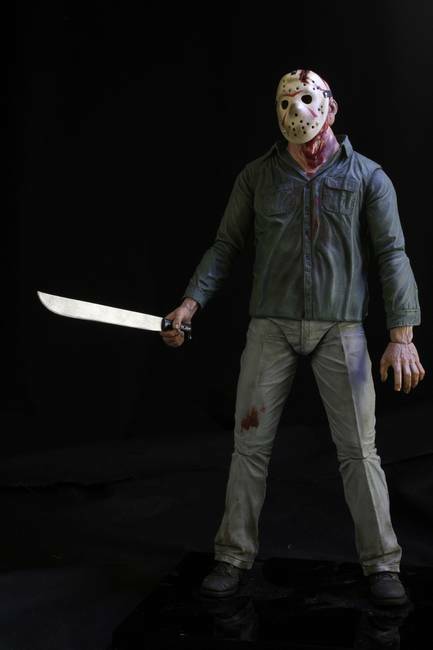 How about some righteous Friday the 13th Jason Vorhees 7″ action figures? 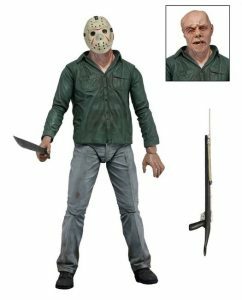 We teased these two versions of the good Mr. Voorhees a while back, but as of today, both Battle Damaged Jason Voorhees and Definitive Jason Voorhees, based on Friday the 13th Part III, have started to ship. Yeah, some afternoons are rougher than others. Battle Damaged Jason has taken a couple shots to the head, but with that machete and an extra axe, in case your head’s harder to take off than initially anticipated. It’s a face only Mrs. Voorhees could love. Or, you know, not. 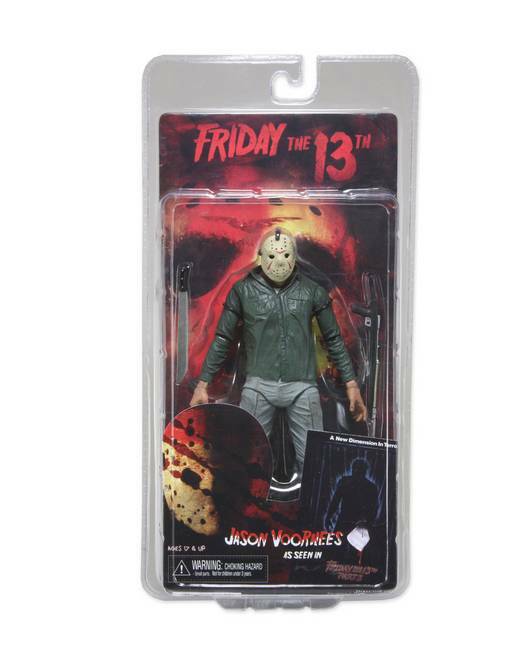 Either way, he’s the Definitive Jason Voorhees 7″ action figure. Jason comes with his signature machete and spear gun. Needless to say, Vera Sanchez never knew what hit her. Both of these Friday the 13th figures are based on Friday the 13th Part III, and you can expect to hear more from us soon on one of the all-time cult horror classics. 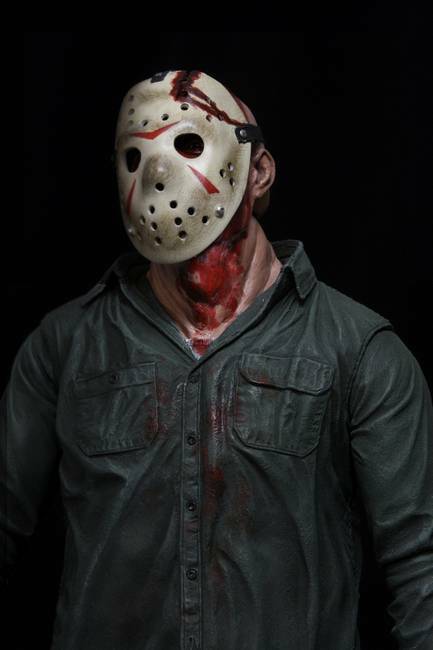 In the meantime, if these aren’t enough for you, don’t forget we’ve got exclusive Jason Voorhees replica masks from The Final Chapter and Part III to bring the horror to life. Only, you know, not too much to life. No jailtime, people. Keep it civil. 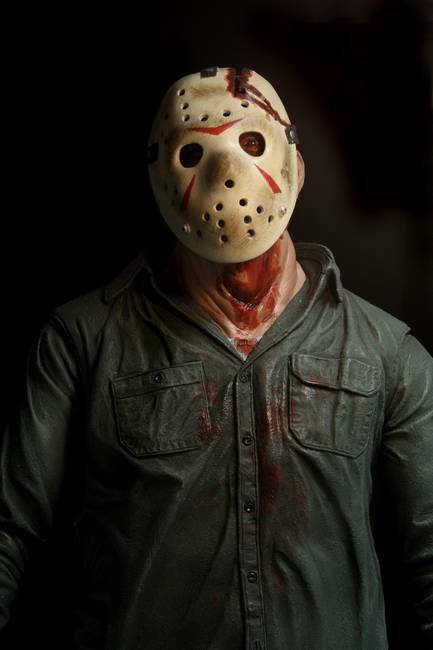 Stay tuned for news and updates on Friday the 13th and all your favorite games, movies and more!